Search engines are constantly changing their algorithms and how they discover the best results to put in front of users. It is important for your brand to stay on top of these changes and updates in order to be found online and to get optimal website traffic. So make 2016 the year your business gets recognized at the top of the rankings with these 5 practices to boost your SEO. 1. Keep search engines in mind when posting to social media platforms. Your brand’s social media accounts can help you generate better search rankings, and serve as a great external channel to generate traffic for your website. As Google continues to learn how to discover more about us, it will work harder to provide us with the results we want. With that being said it would not be surprising if specific social media posts, images, and other pieces of content join the search results in the near future. Recently, Google started doing exactly that with Twitter, and embedding Twitter account pages with recent posts into search results. It is just a matter of time until our social media posts become a part of SEO and how businesses are being ranked by search engines. 2. Make sure you have a user-friendly mobile website. Is your website mobile friendly? If it isn’t, Google can tell. After Mobilegeddon was launched by Google last spring, Google now shows which sites in the search results are mobile friendly and it actually ranks mobile friendly sites higher in mobile searches. 3. Determine the quality of your content. Great, quality content continues to hold great importance when it comes to your brand’s search engine results and SEO efforts. Google and other search engines want to give users the best possible information and content to fit that user’s needs, and the number one place they get that information from is the actual content that your website is producing. Your content needs to continue to be about the user experience, and when you are making plans to optimize your website, make sure making the site appealing and accessible to users is your number one priority. Having user friendly websites, working social media platforms, and great content shows Google that you are a legitimate business that people need to hear about. 4. Analyze your local searches. As technology grows and becomes more and more innovative, users will be found by brands exactly where they are, what they are near, and with what they are wearing. This pattern in technology evolution will allow search engines to collect and use even more personal information and learn even more about consumers and their lifestyles. Be sure to make a digital impact on your community. Build brand authority by encouraging customers to leave reviews and interact with your brand. Illustrate to Google that the local community needs your business, and that they rely on you to provide your specific products or services. 5. Double check all of your 301 redirects. When a user lands on an error page they will more than likely decide to leave your site right away and find a solution on a different site. It is important to test all of your redirected urls to make sure there isn’t any errors, especially during a website redesign. There are a lot of online tools for checking for links that don’t work like Screaming Frog’s Broken Link Checker, to help you manage your time, especially if you have a website that has a lot of links and pages. If all of this SEO talk sounds overwhelming to you, and you don’t know where to start, give us a call at 608-519-3070 or shoot us an e-mail at info@theblugroup.com. 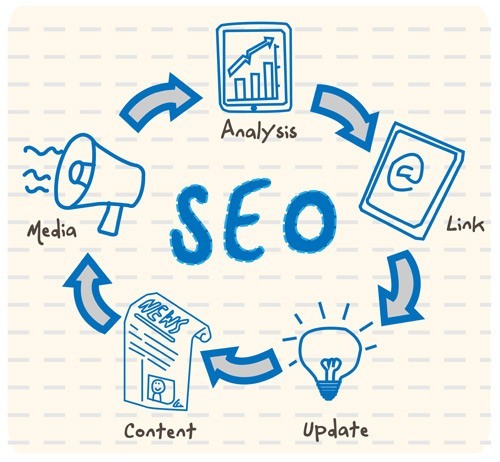 We’ll help you make an SEO plan in no time!